anchorage storage center Archives - Best Self Storage in Anchorage! Is your New Year’s resolution to free up some space within your home and especially your closet? Well let Best Storage Alaska, the affordable Anchorage storage center, offer some assistance! This reputable and affordable Anchorage storage center offers a variety of sized units, amazing features, and helpful benefits. Utilizing a storage unit can get you that much closer to making a resolution, a new reality! Best Resolution of 2019: Clean Out That Closet! Clothing is something we all may be guilty in acquiring too much of. is It is well known that shopping can be a cause for overcrowding of the home. Closets and drawers become filled and begin to overflow. Slowly your entire house starts to actually look like one giant pile of clothes. Not to mention shoes, accessories, or even furniture to hold the like. Imagine if you could increase the amount of space you had for your clothes. 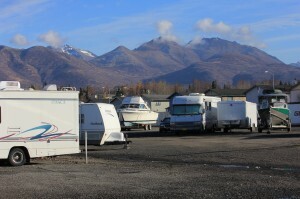 The perfect answer for local shopaholics is an affordable Anchorage storage center! Shoes for some reason can be the hardest items to get rid. Some people buy pair after pair because they love them so much, plus new ones are always arriving on store shelves. The need for more space becomes apparent when your pantry is filled with shoes and your oven houses sweaters. A storage unit can provide all of the extra space you need to store winter boots or summer sandals. Although women are more characterized for having lots of shoes, some men also have their share of shoe collections. An affordable Anchorage storage center unit allows you to box the items and store them until you are ready to wear them again. Perhaps even harder that not buying new clothes is getting rid of old ones. As you sift through your closet, time helps you spot a few items that you are willing to part with. Although after you put those in the donation pile, the remaining clothes start to get tougher to get rid of. Who knows, maybe those sweaters or pants that you haven’t worn in years might be in fashion again someday. Perhaps you might fit into the skinny jeans after a few month on your new years resolution diet. Maybe you just need some more space but you aren’t ready to get rid of any clothes because you love them all. 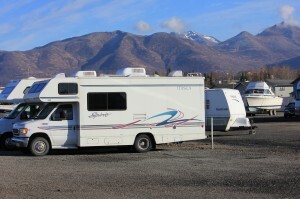 Whatever your reason, utilizing an affordable Anchorage storage center can help you make some room. So remember if you are looking for more closet space then look no further. The most affordable Anchorage storage center units are at Best Storage Alaska with 6 convenient locations. Who knows, maybe a storage unit will be the best thing that ever happened to your closet. An affordable Anchorage storage center can offer assistance in helping you achieve that 2019 New Years resolution! Best Storage Alaska, Storage Center Residents Count On!